Last week, we reported that the sequel Ip Man 3 has cast former boxing champ Mike Tyson alongside Donnie Yen. The production also announced that they will use a CGI rendering of Bruce Lee, as opposed to casting an actor to play the martial arts icon. Today, The Hollywood Reporter reveals that Bruce Lee's family is trying to stop his name, likeness and story from being used in director Wilson Yip's movie. 2010's Ip Man and 2011's Ip Man 2 are both based on the true story of Ip Man (Donnie Yen), the martial arts master who created the style known as Wing Chun, whose most famous student was Bruce Lee. The first two movies did not feature Bruce Lee as a character, focusing on Ip Man's early years in China. The producers could not find a suitable actor to play Bruce Lee on screen in Ip Man 3, so they decided to create his likeness using CGI. 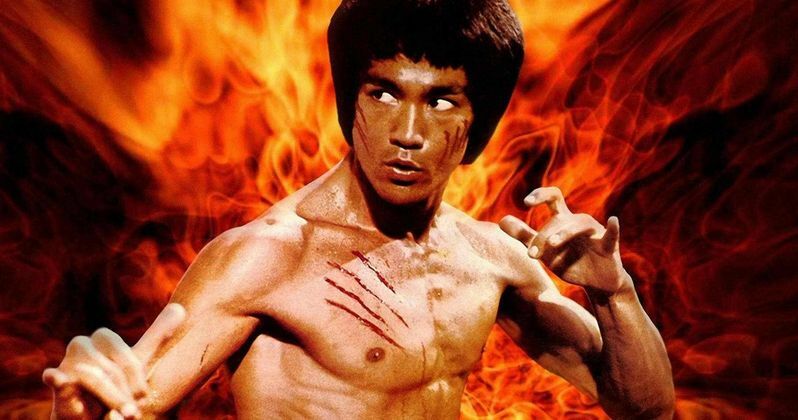 Bruce Lee Enterprises LLC states that it has "undisputed ownership" of all intellectual property rights related to the martial arts icon, including his name, likeness, persona, signature, voice, attributes, marks, logos, symbols, works, photographs and writings. The company told The Hollywood Reporter that they were "justifiably shocked" to learn about the plans to use Bruce Lee's likeness, which is "completely unauthorized." Here's what Bruce Lee Enterprises' General Counsel Kris Storti had to say in a statement. "To state it in no uncertain terms, BLE intends to seek all remedies available to it to stop Pegasus from including the computer generated version of Bruce Lee in Ip Man 3." Ip Man 3's producers are working with Bruce Lee's brother, Robert Lee, who is serving as a consultant. Hong Kong-based Pegasus Motion Pictures, which is producing the sequel, claim that Robert Lee controls Bruce Lee's intellectual property rights, but Bruce Lee Enterprises is claiming that is not the case. Producer and Pegasus chairman Raymond Wong said that the matter is now being handled by their lawyers, and an announcement will be made soon. Would you have liked to see a completely CGI Bruce Lee in Ip Man 3? Let us know what you think below.